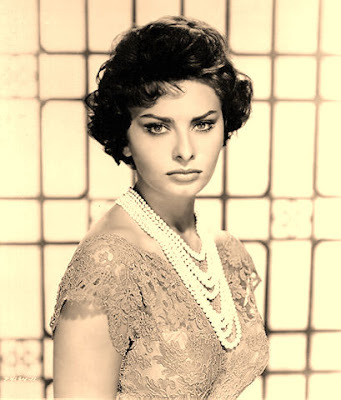 This haircut looks absolutely fabulous on Sophia Loren. I'm seriously considering it. Yet wondering, as a Mom without much time to fix it, would it look like this on me....or would it look like I've just given up entirely. Caroline........ABSOLUTELY NOT!!!!!! DON'T YOU DARE CUT YOUR BEAUTIFUL, LONG, AUBURN HAIR!!!! Seriously, short hair is so overated!!!! Hope you all are doing well. I love reading your blog and seeing your photos!